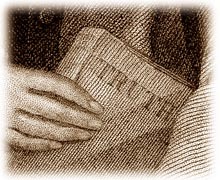 As Christians we oppose rationalism (the idea that human reason alone — apart from any supernatural revelation– can discover truth). But Christianity is by no means hostile to rationality. We believe the truth is logical; it is coherent; it is intelligible. Not only can truth be known rationally; it cannot be known at all if we abandon rationality. In fact, we are utterly dependent on the Holy Spirit to teach us truth, because “The natural man does not receive the things of the Spirit of God, for they are foolishness to him; nor can he know them, because they are spiritually discerned” (1 Corinthians 2:14). But the way the Holy Spirit gives us understanding is through our minds– employing our rational faculties (v. 16; Ephesians 1:18; 4:23; 2 Timothy 1:7) so that we can comprehend the truth.